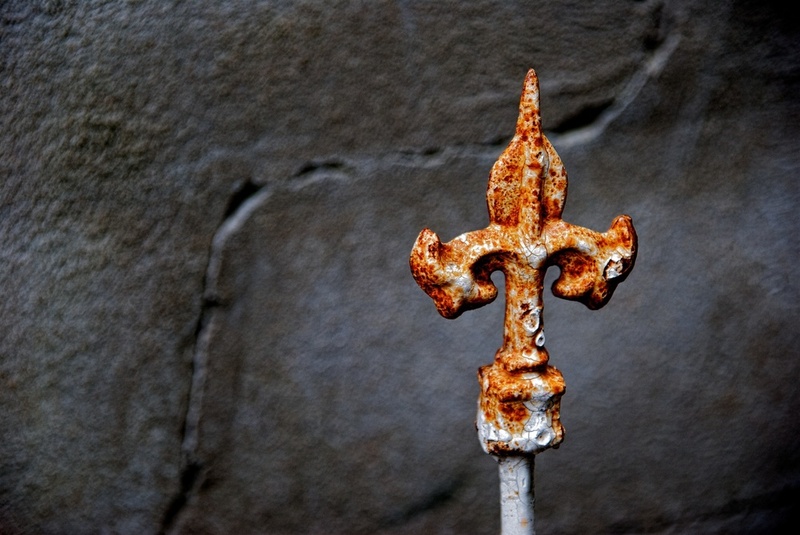 I found this fleur-de-lis design atop an old fence post and just liked the aged and antiqued look of it. I thought it made an interesting shot, especially with the crack in the wall running behind it. This was a single exposure at f/6 and 0ev that I adjusted in Topaz Adjust. Though I normally shy away from the Spicify setting in Topaz Adjust, I liked it on this object and thought it added some nice texture and also helped emphasize the antique look of the item. I came across this at a restaurant. After the meal, we were wandering around a bit in their rear courtyard, and I came across all sorts of interesting things to shoot, nearly all of which were old and rusted. That kind of stuff is always fun to shoot so I went crazy with the camera there for a while - but that's nothing new!